I love spending time in the mortal muses theme pool looking at all your wonderful interpretations of the prompts. This month it is all about resolutions – your words for the year, your healthy living resolutions and your healthy eating resolutions. There are so many wonderful pictures to choose from and each one is so inspiring and interesting, so well thought out and photographed. 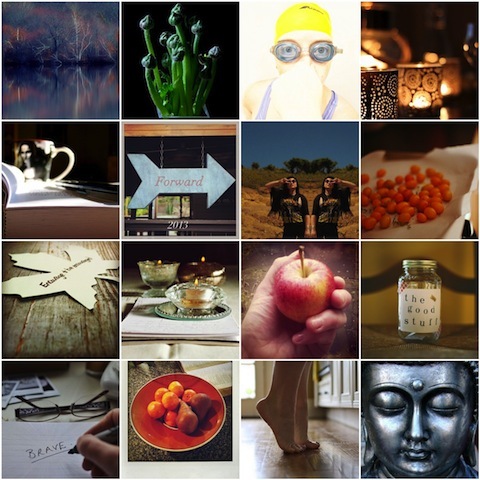 Here is a selection of our favourites for this month, please keep your wonderful photographs coming and thank you so much for being part of this amazing community. Thank you for selecting mine, I’m in great company! As for my resolutions; the weight loss is going well – I lost 3lbs in week one (next weigh in is on Monday) stopping the nail biting not going quite as well! Thanks for adding my photo to this wonderful mosaic. Kind regards Z.
Lovely mosaic, thank you for including my word of the year. 🙂 Lots of great resolutions here. wow, such a thrill to be included!! thank you so much! Let me add my thanks for including my photo in this fantastic selection! I don’t generally make New Year’s resolutions. Rather, I have an overall resolution that is renewed every day and is summed up in a quotation from writer Annie Dillard’s work Pilgrim At Tinker Creek: “Beauty and grace are performed whether or not we will or sense them. The least we can do is try to be there.” I try to be there with camera in hand. These are amazing! I’ve been amazed at all these resolutions this month. I love this pool! Thank you for including me. You ladies do inspire!